The 2016-17 Louisiana High School wrestling season is now in full swing. Regretfully, it started with the passing of Holy Cross icon Ed Kavanaugh, a 1967 state champion for the Tigers and their coach and athletic director for three decades. 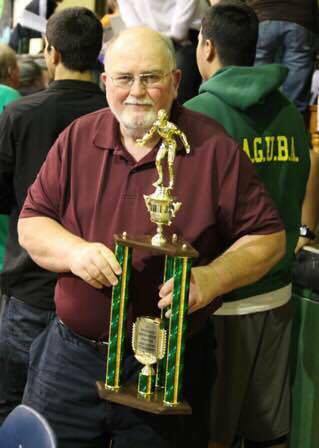 Were the Louisiana Wrestling Hall of Fame an actively pursued venture, Coach Kavanaugh would surely be a member. The editor wanted to toot his own horn for a couple of things he wrote last year. Unfortunately, the editor does not have a horn and had to settle for a folded piece of paper and a comb to make a fake kazoo. "As Rummel will be competing in Division II this season, with a few timely upsets the [Airline] Vikings might find themselves in contention with Holy Cross and Jesuit for the runner-up spot. Additionally, 12 of their 17 2015 returners are only juniors or younger, so the 2016-17 team, with another state tournament scheduled in Bossier City, will be a well-seasoned group of veterans who could vie for a team title." "Coach Tommy Prochaska's team is very deep and incredibly young. The Bears should provide some upsets at the state championships, but this year looks like of a rebuilding season¹. The 2016-17 and 2017-18 teams should be something to see, though, as last season's roster had 36 wrestlers who were sophomores or younger." In the first major tournament of the season the Catholic Bears scored 221.5 points to win the Warrior Open by 50.5 points over runner-up Airline's 171. That is a large point differential, but the Bears had 13 entrants while the Vikings only brought eight. 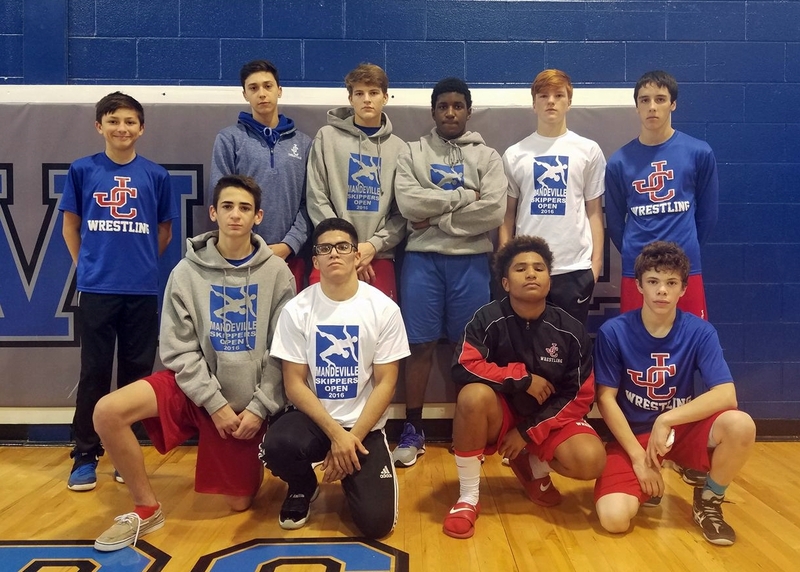 Jesuit, with 168 points, placed third, but the Blue Jays were also without Adam and Eli Larriviere, Jordan Giewat and Corey Dublin. Catholic had two champions and four runners-up at the event. ¹ I so wish someone would notify the editor of such errors as the bold-cased "phrase" exhibits. Brusly had four champions en route to scoring 130 points and winning the Brusly 8 by 8.5 points over Rummel. Live Oak, with wins by the Ingram brothers Camdyn and Anthony, and Ean Hill, placed third by one-half point over Catholic. 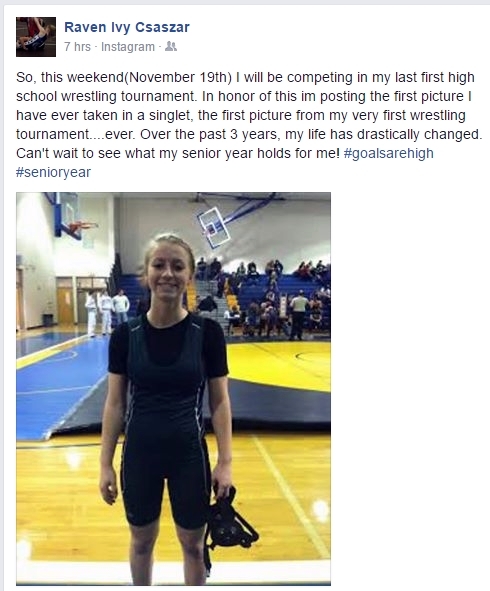 Evidently having a mat and a wrestling room at one's school is a mere luxury. 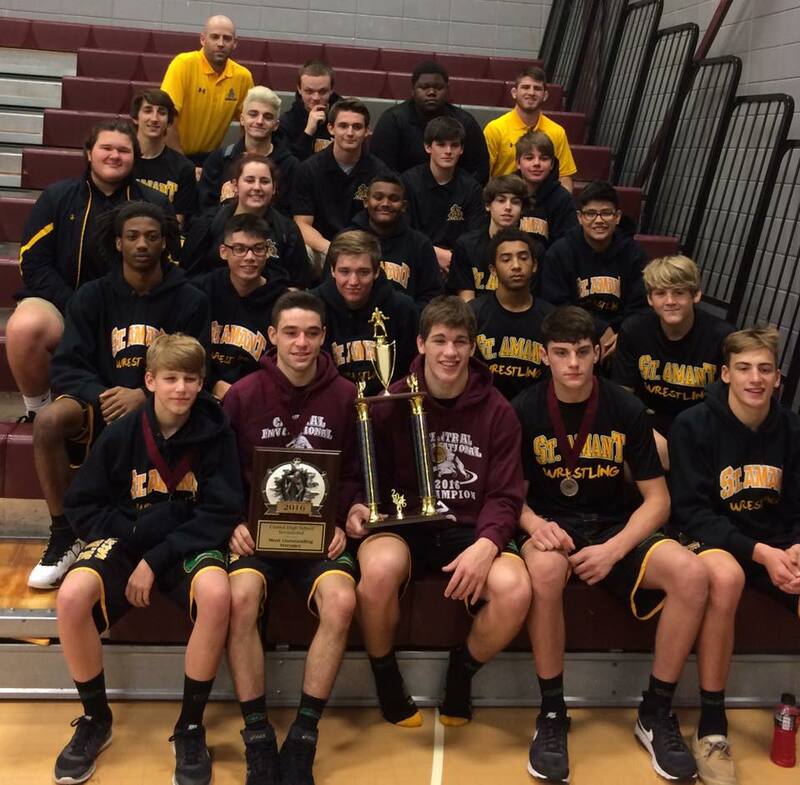 Having neither, the St. Amant Gators won the Central Wildcat Open with 151 points, outdistancing runner-up Belle Chasse by 25 points. Catholic was third with 110 points. 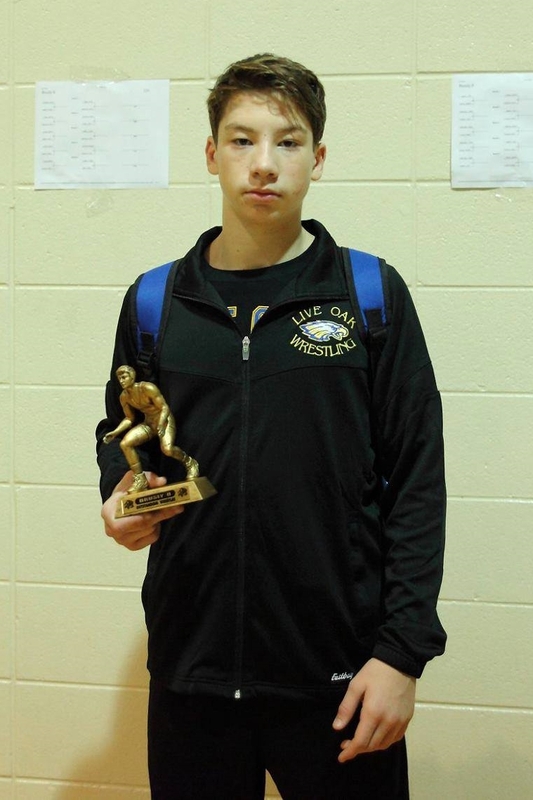 Senior Brier Babin of St. Amant was voted the Outstanding Wrestler, in no small part, I am sure, by handing Basile's Gavin Christ his first loss of the season in a 12-6 semifinals match. St. Louis freshman Alex Yokubaitis won his second tournament in succession (he also won the Warrior Open). He almost got the "Jeese, I Have to Type His Name in Again?" award until I saw the 285 runner-up from East Ascension. (Scroll down - I am not typing it again until I need to.) Austin Goody, Matthew Matherne and Chase Stuckey also notched their second tournament victories. Holy Cross won the inaugural Jesuit Invitational on Saturday. While it was a relatively small tournament, Holy Cross and Jesuit brought their starters, and Brother Martin sent two teams, and depending on how their season goes, some potential starters for the Crusaders. 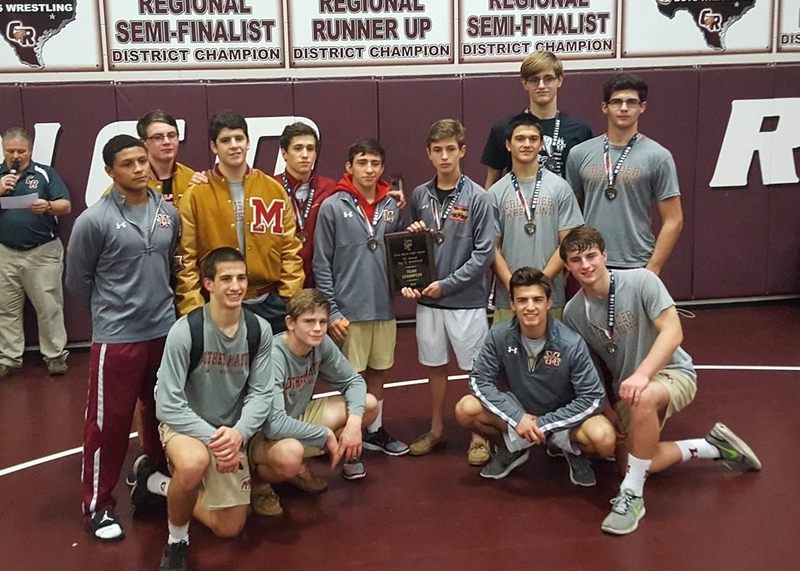 The Tigers had seven champions and scored 201 points to the host team's 141, followed by the Brother Martin "B" squad with 86.5. De la Salle, Bonnabel and East Jefferson also participated. Aside from the 220 and 285 lbs. brackets that only had two and one entrants respectively, the latter three schools only had two finalists (James Montelaro of East Jefferson and Malik Smith of Bonnabel), but no doubt earned some valuable experience against some of the best wrestlers in the state. The Tigers brought three Division I state champions and the Blue Jays had one as well. Had team scores been kept at the Mandeville Open, they would have shown St. Paul's is still the dominant team on the Northshore. The Wolves had five champions in Brandon Stein, Connor Oviedo, Cole Houser, Shane Ulfers and Grant Hughes. John Curtis (photo left) might have placed second with winners Colten Kendrick, Isaac Fincher and Joha Anderson along with one runner-up. Brother Martin showed the difference between dual meets and tournaments this weekend in Katy, Texas. According to reliable sources, the Crusaders lost a dual meet Friday night to Katy High School, possibly 39-30. But the Crusaders rebounded on Saturday and again won the Cinco Ranch Big 12 tournament, outdistancing Katy by 66 points. The Crusaders had six champions, runners-up and scored 231 points, 23 more than runner-up Houston Cypress Woods.